Today marks the start of the second stage of Overwatch League action, and the reset will offer some new features for viewers of the event. 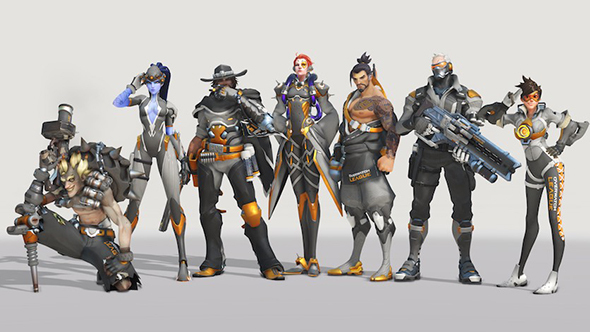 The partnership between Twitch and OWL will now offer a chance to unlock new skins and emotes while watching. Stage two will see the teams dealing with the controversial Mercy nerfs. If you connect your Battle.net and Twitch accounts, you’ll earn League Tokens while viewing a night’s matches. You’ll get one token at the end of every live map finish. At a minimum, a full night of viewing would then give you 12 tokens, so dedicated OWL fanatics will find the currency adding up quickly. Every final map finish will offer random giveaways of 100 tokens, enough for a single League skin. If you’re engaged in Twitch’s Bit economy, you can Cheer your favourite teams, unlocking one of 26 hero emotes for every 100 Bits cheered – and you’re promised no dupes. Every 150 Bits sent to a specific team will grant you that team’s emote. All the Bit proceeds go to the League itself rather than the specific team you’re cheering, however. Overwatch League returns to action tonight at 16:00 PT / 19:00 ET / midnight GMT, kicking off the action with a match between Seoul Dynasty and Los Angeles Valiant.